Anyone who has followed the development of the Air-Sea Battle Concept (ASBC) turned Joint Access for Maneuver in the Global Commons (JAMGC) and the closely associated term, A2/AD, knows this amalgamation of terminologies, ideas, and concepts has generated a significant amount of confusion and discontent across the defense establishment. 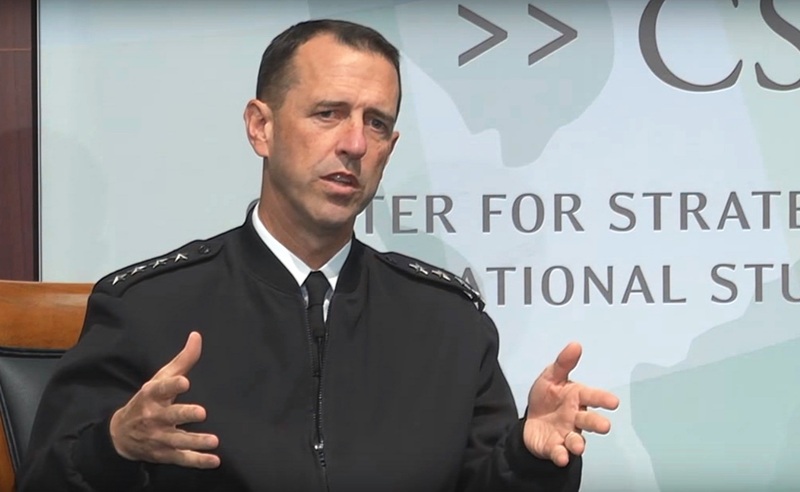 On October 3, while participating in a Maritime Security Dialogue at the Center for Strategic and International Studies, Chief of Naval Operations, Admiral John Richardson continued this trend when he voiced his displeasure with the term A2/AD. “To some, A2/AD is a code-word, suggesting an impenetrable ‘keep-out zone’ that forces can enter only at extreme peril to themselves. To others, A2/AD refers to a family of technologies. To still others, a strategy. In sum, A2/AD is a term bandied about freely, with no precise definition, that sends a variety of vague or conflicting signals, depending on the context in which it is either transmitted or received.”1 Admiral Richardson went on to say, “To ensure clarity in our thinking and precision in our communications, the Navy will avoid using the term A2/AD as a stand-alone acronym that can mean many things to different people or almost anything to anyone.”2 The author personally doesn’t agree with the decision to eliminate A2/AD from the Navy’s lexicon, and stated opposition in a CIMSEC debate post in November. The second reason is that the term ‘denial,’ as in ‘anti-access/area denial’ is too often taken as a fait accompli, when it is, more accurately, an aspiration. Often, I get into A2AD discussions accompanied by maps with red arcs extending off the coastlines of countries like China or Iran. The images imply that any military force that enters the red area faces certain defeat – it’s a ‘no-go’ zone! But the reality is much more complex. Achieving a successful engagement requires completion of a complex chain of events, each link of which is vulnerable and can be interrupted. Those arcs represent danger, to be sure, and the Navy is going to be very thoughtful and well prepared as we address them, but the threats are not insurmountable. Admiral Richardson’s remarks are poignant and zero in on the complexities associated with this topic and are worthy of further analysis. First, CNO recognizes that history has much to teach the Navy about the A2/AD conundrum. However, Admiral Richardson assumes that those studying contemporary A2/AD issues are well-grounded in history. Nelson, Farragut, Nimitz and Lockwood all had to contend with A2/AD problems, but these references are perhaps not the best ones. The study of history doesn’t always yield viable solutions to contemporary problems, especially when the wrong examples are pulled from history. Moreover, it seems likely that only consummate navalists would truly appreciate CNO’s references to Nelson, Farragut, and Admiral Lockwood. There are better examples in history that are relevant to the study of A2/AD and this column will bring those to light. The sophistication and capabilities of A2/AD networks, at times, appear to intimidate those studying this topic, hence the fait accompli CNO mentioned. There is some legitimacy to this fait accompli mentality as the U.S. Navy hasn’t faced anything that looks likes these A2/AD networks since World War II. For instance, the Solomon Islands Campaign is a perfect example of the complexities CNO refers to in his second and third points. The Imperial Japanese Navy (IJN) employed a wide array of capabilities against the U.S. Navy, and at times, were very effective at restricting or reducing the Navy’s freedom of maneuver and access. In fact, within the first 24 hours of landing on Guadalcanal, the Navy faced IJN fighter aircraft, bombers, and ships, all of which were superior in some way to the aircraft and ships the USN brought to the fight. 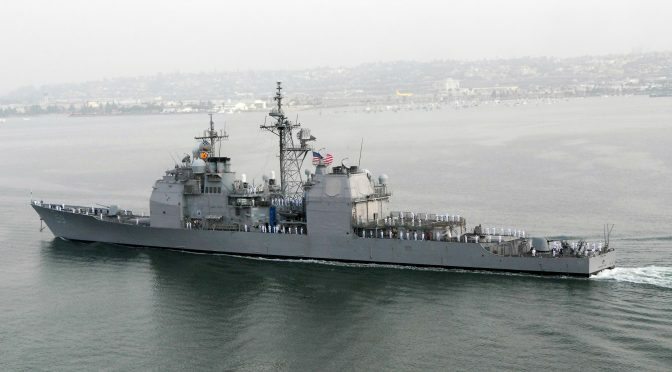 The U.S. Navy suffered one of its worst defeats at sea, where four cruisers were lost, one Australian and three U.S., in the early morning hours following the landing. In the end, the U.S. Navy would take Guadalcanal after six months of heavy fighting and use the island as a base of operations for counterattacks on the IJN. Well within the range of the IJN’s ships and aircraft, the counterattacks staged from Guadalcanal offer several examples of how to conduct a successful campaign from within the defensive arcs of an adversary. In the articles that follow in this column, these complexities will be explored as well the means developed to counter them. For the most part, the column will focus on historical cases that are relevant to the points raised by CNO. The column will also examine emerging issues and occasionally look towards the future. 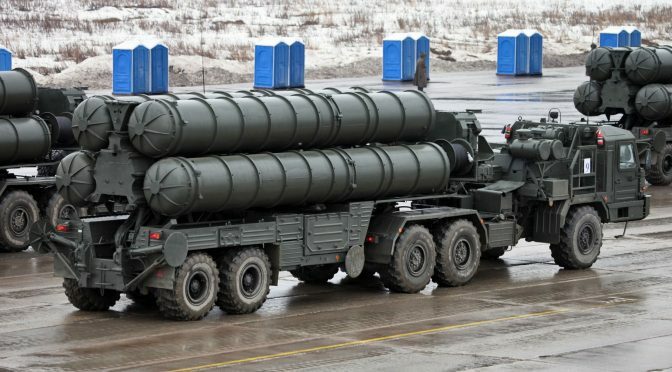 While there is no clear-cut solution to countering the proliferation of A2/AD capabilities, there is no shortage of historical examples that will be examined which are connected to this topic. Bob Poling is a retired Surface Warfare Officer who spent 24 years on active duty including tours in cruisers, destroyers, and as commanding officer of Maritime Expeditionary Security Squadron TWO and Mission Commander of Southern Partnership Station 2013. From May 2011 to May 2015 Bob served on the faculty of the Air War College teaching in the Departments of Strategy and Warfighting. He was the Naval History and Heritage Command 2014-2015 Samuel Eliot Morison scholar and is pursuing his Ph.D. with the Department of Defence Studies, King’s College London where he is researching Air-Sea Battle concepts used to combat A2/AD challenges encountered during the Solomon Islands Campaign. 1. John Richardson, “Chief of Naval Operations Adm. John Richardson: Deconstructing A2AD,” Text, The National Interest, accessed December 23, 2016, http://nationalinterest.org/feature/chief-naval-operations-adm-john-richardson-deconstructing-17918. A first strike’s naval component is commonly referred to as the “first salvo.” A first salvo builds upon the maxim that the fleet attacking effectively first obtains a greater probability of victory in a given tactical action, with the understanding that superior maritime surveillance and reconnaissance is a prerequisite for being able to do so. This situational awareness becomes far more complicated to achieve against a defender’s maneuvering naval forces, though, once the defender’s peacetime rules of engagement regarding what he can do to suppress or neutralize enemy wide-area sensors and their supporting data relay networks, interdict enemy scouts, and employ deception and concealment are relaxed following hostilities’ outbreak. Since an attacker has every reason to believe his maritime picture will never be as accurate and comprehensive at any later point in a conflict as it is during peacetime’s waning moments, and since naval warfare is inherently capital-intensive, the attacker’s best chance to maximally neutralize a defender’s higher campaign-value fleet assets is in a first salvo. Accordingly, one of the defender’s most critical peacetime tasks is to mitigate the risk that any conceivable non-nuclear first salvo can attrite his naval forces below the minimum deemed necessary to prevent a potential adversary’s aggression from achieving some military-strategic fait accompli. An aggressor’s maritime offensive, though, may not be aimed at seizing territory or resources, solidifying a blockade, or ‘violently adjusting’ a theater’s power balance. Coercing the defender or other international actors by creating a public perception that the defender is weak, that a geopolitical status quo is tenuous, or that rising tensions are becoming exceptionally dangerous may actually be more useful to an aggressor’s grand strategy. A first salvo in these cases might be an extremely limited, ‘one-time’ tactical action intended not to ignite a war or to pave the way for follow-on military operations, but rather to support subsequent diplomatic, economic, or propagandistic endeavors at the defender’s expense. An example of this would be the 2010 North Korean torpedoing of the South Korean corvette ROKS Cheonan. Assuming an attacker can locate and target at least some of a defender’s in-theater naval forces as a crisis peaks, a contemporary first salvo may consist of minimal-warning saturation attacks using anti-ship missiles, torpedoes, or irregular ‘swarming’ small boats and aircraft. The attacker might also covertly lay minefields in shallow contested seas, inside maritime chokepoints, or near the defender’s naval bases and forward logistical support ports. These kinetic actions will likely be paired with cyber and electronic warfare attacks designed to conceal attacking forces’ movements, exacerbate the defender’s confusion and demoralization, and inflict physical damage as possible on the defender’s forces and Command, Control, and Communications (C3) network infrastructure. A first salvo will almost certainly be coordinated with a diplomatic and propaganda campaign that attempts to justify the attacker’s actions, assign blame to the defender for peace’s collapse, and blur what actually happened. New systems and platforms can certainly be designed with capabilities that help mitigate the U.S. Navy’s first salvo vulnerability risks, but this offers only intermediate if not long-term solutions. Under the normal Department of Defense acquisition process, it generally takes a ten year minimum to mature a new system from prototype demonstration in a relevant environment to Initial Operational Capability (IOC). Transitioning emerging technologies from the applied research stage into an IOC system obviously takes even longer. First salvo defense into the foreseeable future, therefore, will largely depend upon theater and tactical-level commanders’ successes in enhancing existing forces’ resiliency in the face of a surprise attack. From a purely quantitative perspective and assuming flawless scouting, an attacker’s probability of neutralizing a certain number of defending units in a strike decreases as the defender’s number of kinetic and non-kinetic defensive layers, as well as degree of unit-level passive hardening, increase. These attributes drive up the number of weapons the attacker must employ against a given target in order to attain a desired probability of success. Scouting is never flawless and situational pictures can never be omniscient, though. The defender can capitalize on these realities by using deception and concealment where tactically viable to increase the probability that a ‘critical mass’ of his units will evade detection long enough to avoid being attacked before they can successfully execute their missions. In a first salvo scenario, however, the above attributes are critically affected by the defending force’s degree of mobilization. Defensive mobilization primarily relies upon timely detection and recognition of actionable intelligence, followed by political and theater-level military leaders’ rapid decisions to act upon those Indications and Warning (I&W). This sequence’s perfect execution rarely occurs in practice for a litany of political, operational, and psychological reasons. Even in the depths of a crisis in which war I&W are unmistakable, these factors may deter a defender from adequately increasing his forces’ readiness postures in a timely manner. Nevertheless, naval doctrine and standing operational plans can compensate for the mobilization problem if they are structured around an expectation that a given potential antagonist would seek to initiate a conventional war by unleashing a massive first salvo. As exemplified by the Imperial Japanese Navy’s war-initiating raids on the Russian Pacific Fleet at Port Arthur in February 1904 and on the U.S. Pacific Fleet at Pearl Harbor in December 1941, the simplest first salvo in terms of targeting is against a defender’s fleet in port. Considering mobilization-on-warning’s reliability challenges, a defender can best balance deployed warships’ need for periodic pierside maintenance and crew relaxation time on one hand against reducing overall force vulnerability on the other by adopting a posture that prevents a ‘critical mass’ of his fleet from ever being in his principal forward bases simultaneously. Routine forward peacetime operations can be built around always having a minimum contingent either underway or visiting countries that it is assessed the potential aggressor would prefer not to risk adding as parties to a conflict. Units’ positioning and portcalls could be managed based on their ability to quickly ‘become unlocated’ through use of speed, maneuvering space, Emission Control (EMCON), and other concealment tactics in the event of a sudden crisis. The combination of geography and political objectives, though, can constrain the defender’s fleet’s ability to sustainably remain unlocated throughout a protracted crisis. As was the case with the U.S. 6th Fleet’s operations in the highly-confined Eastern Mediterranean during the October 1973 Yom Kippur War, forward forces often must occupy a relatively fixed operating area when supporting an ally or deterring an antagonist’s intervention or escalation. Should this area lie within a small or significantly physically-enclosed marginal sea close to the potential adversary’s homeland, and especially if accessing the area requires transiting one or more chokepoints, the potential adversary’s surveillance and reconnaissance/targeting problems become vastly less difficult. Under these circumstances, a defender can orient his frontline peacetime conventional deterrent and initial wartime resistance around naval forces and weapons that are relatively invulnerable to a first salvo, such as submarines and offensive as well as defensive minelaying. 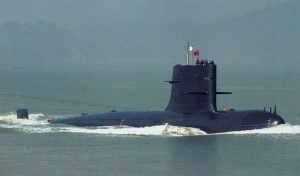 These efforts can also employ numerous relatively low campaign-value maritime forces such as highly mobile land-based surface-to-air and anti-ship missiles, tactical aircraft operating from dispersed austere forward land bases, and under some circumstances missile-armed small warships logistically supported from forward austere ports or rearward seabases. Frontline forces can be supported by tactical and logistical aircraft from rearward land bases located in-theater, aircraft carriers operating from ‘over the horizon,’ and homeland-based trans-oceanic aircraft; all of these hinge on the availability of sufficient airborne refueling aircraft. Large surface combatants operating from ‘over the horizon’ can similarly provide cued land-attack and anti-ship missile fire support, extended-range air defense support, and Ballistic Missile Defense support. The use of higher campaign-value naval units operating from ‘over the horizon’ as opposed to in a frontline capacity is only partially due to the first salvo threat. Sustained resistance to an adversary’s offensive will be impossible if the defender cannot achieve localized ‘moving bubble’ sea control in areas beyond the immediate contested zone’s periphery in order to support reliable logistical sustainment of frontline forces, mass movement of reinforcements and materiel into—and within—the theater, and the protection of theater allies’ primary economic lines of communication. These sea control tasks would almost certainly drive carrier, amphibious, and major surface action groups’ positioning as a crisis escalates or immediately following a war’s outbreak. Needless to say, higher campaign-value naval forces postured this way would also be better able to take advantage of space and maneuver for pre-first salvo defense-in-depth, concealment, and perhaps even deception. The further offshore these naval forces were operating from the adversary’s homeland, the greater the adversary’s challenges would be in executing an effective first salvo due to the difficulties of timely detection, confident identification, and continuous targeting-quality tracking of uncooperative warships within the expansive, dynamic open-ocean environment. There is a major caveat to the above observations, however. A capable and audacious adversary might perceive his political objectives to be so important, the conflict’s ‘inevitability’ of escalation so great, or the defender’s leaders and citizens so feckless that kinetic first salvo attacks on the defender’s homeland-based naval forces become operationally attractive despite the high escalation precedent they would set. The Pearl Harbor case is instructive: although the pre-Second World War U.S. Navy’s Orange Plans fully expected Japan would open any war against America with a devastatingly effective surprise attack against the U.S. Pacific Fleet’s Philippines-based forces, U.S. Navy planners and leaders actively discounted the possibility Japan would risk galvanizing American popular passions by also attacking sovereign U.S. territory. A future adversary might similarly not be satisfied with isolating his first salvo to forward areas, or otherwise limiting its extension against U.S. Navy homeland-based forces to cyber or electronic attacks that offer a thin modicum of escalation control. 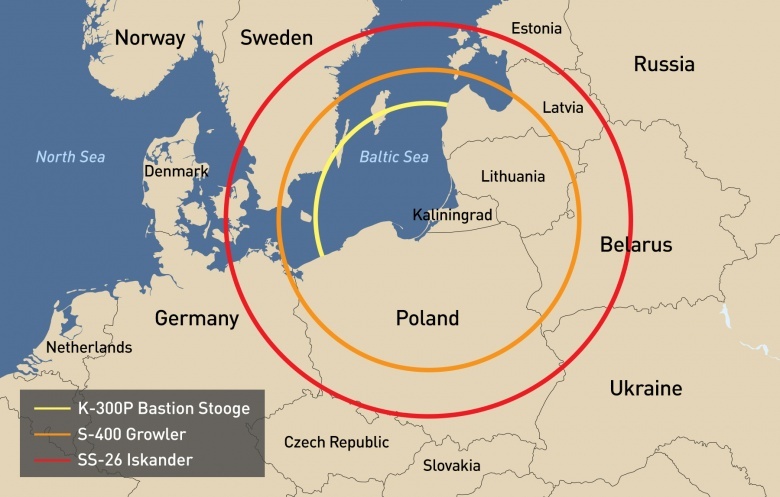 Mines and standoff-range cruise missiles employed by trans-oceanic submarines or ‘commercial’ vessels against American homeports would be ideal methods for maximizing surprise, confusion, and operationally-significant damage in support of the adversary’s in-theater offensive. Attacks using irregular forces might also be an option. Any warships laid up per a tiered-readiness approach would be particularly lucrative targets, and as such would greatly detract from force resilience. As it seems unlikely the doctrinal approaches that forward forces can use to mitigate first salvo vulnerability will be fiscally extensible to homeland-based forces, greater attention will need to be paid to concepts for dispersing the fleet among homeland civilian ports in the event of elevated tensions, not to mention direct homeport defense. The preceding examination of kinetic attacks should not overshadow the fact that cyber-electromagnetic warfare will form a major part of any future first salvo. While much of cyber-electromagnetic defense is a technology development and acquisition matter, doctrine and operational planning also play key roles. For instance, force-level commanders must not base their plans and operating concepts on the flimsy assumption that their situational pictures and C3 capabilities will enjoy relatively unimpeded confidentiality, integrity, and availability early in a war. As a crisis worsens, it may actually be better to decrease campaign-critical forces’ relative reliance on external networking with higher echelon commands or rear echelon support activities rather than double down upon it. A force is most resilient against C3 attack when all echelons from the theater-level down to the unit-level adhere to decentralized doctrine rooted in commanders’ pre-promulgated intentions messages, pre-planned initial immediate responses to foreseeable tactical situations, avoidance of overly-synchronized operations, and overall command by negation. This not only supports greater Operational and Communications Security through reduced need for frequent detailed communications, but also allows greater lower-echelon initiative and adaptability within a highly dynamic tactical environment. It is also extraordinarily difficult for an adversary to detect—let alone exploit—a localized tactical data and communications network connecting a forward force’s units via highly-directional line-of-sight pathways that make use of maneuvering assets (ideally organic to the force) as ‘middleman’ relays. In comparison, an adversary’s cyber-electromagnetic warfare opportunities are expanded when the defender employs networks that connect fielded forces with higher command echelons and rearward ‘distance support’ services via predictably-located or fixed infrastructure (e.g., satellites and their ground stations). 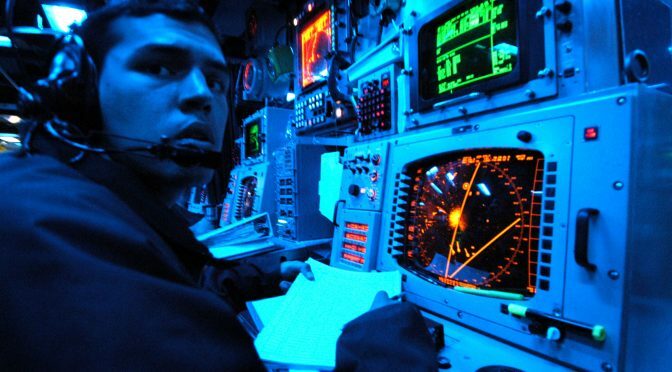 Cyber-electromagnetic first salvo defense means doctrine and operational plans should neither center on the defender’s higher echelon commanders’ direct real-time tactical control over lower echelons, nor offer the enemy an opportunity to exploit any informational and logistical support provided by the defender’s rear echelon ‘reachback’ activities. The common denominator needed to make doctrine, plans, and even networking approaches truly resilient, however, is combat-ready personnel. This depends upon on tactically, technologically, and psychologically conditioning crews for battle’s fog and friction. Indeed, a 1975 U.S. Navy war game underscored that a first salvo’s degree of devastation would likely stem more from crews’ shock or disbelief upon detection of actual inbound weapons than from shipboard combat systems’ performance limitations. Any decision to take self-defense actions in a fringe-of-war, tactically ambiguous situation would need to overcome enormous psychological inertia. The tactical expertise needed to make such high-stakes, compressed-timeline decisions largely stems from an individual’s experience-shaped intuition. In peacetime, this experience is gained from training frequency and realism. At-sea training remains vital because shipboard tactical, navigational, and engineering activity coordination cannot be realistically simulated pierside. Many Murphy’s Law-invoking maritime environmental idiosyncrasies such as disruptive weather, unanticipated anomalous radio frequency propagation, and ambient acoustic complexity are also difficult to realistically simulate. Additionally, much like man overboard recovery maneuvers, shiphandling proficiency in quick-reaction, precision-dependent defensive maneuvers relies upon routine, impromptu drills underway. It is true that budget-driven underway training reductions, inability to simulate certain scenarios at sea due to severe operational risk or complexity, and the need to safeguard certain tactics and capabilities from intelligence exposure provide strong rationales for pierside unit and group-level synthetic training as possible and appropriate. Nevertheless, challenges remain in coordinating frequent pierside synthetic training events, or otherwise funding and scheduling frequent watchteam visits to high-fidelity simulators located ashore. As a result, fleetwide first salvo resilience’s core arguably rests upon the individual unit-level Commanding Officer’s (CO) personal prioritization of tactical training. Quality onboard training systems are worthless if the CO does not mandate their regular use, demand that drills feature adversary tactics derived from the latest disseminated intelligence, and insist that no two drill scripts ever be alike in order to push watchstanders to continuously grow their experience bases, hone their instinctive responses, and become conditioned to cope with the unexpected. The CO must also ensure drills periodically include simulated cyber and electronic attacks as well as tactical deceptions to condition watchteams for operating amidst degraded or adversary-manipulated situational awareness. Most importantly, the CO must directly participate in drill debriefs to guarantee shortcomings are comprehensively and constructively identified for follow-on individual or team training—as well as to signal the training’s importance. Relatedly, considering the countless deckplate as well as external demands competing for a CO’s focused attention, Navy senior leadership must unambiguously communicate to the fleet that tactical training is indeed a paramount priority. Part of this will come from the seriousness of oversight posed when higher echelons examine unit and group-level tactical readiness during routine command assessments and pre-deployment workup exercises. This must be balanced with promotion board guidance that unfailingly rewards COs whose commands consistently demonstrate exceptional tactical proficiency and mature tactical risk-taking. Should Navy senior leadership do otherwise, they would gravely risk cultivating operational-tactical ineffectuality similar to what occurred in the U.S. Navy submarine force during 1941-42. Also, just as Navy senior leaders’ restrictions on submarine approach tactics during the 1920s and 1930s shortchanged early-Second World War fleet operations, restrictions on contemporary cyber defense training during battleforce exercises—though reportedly decreasing—may endanger first salvo resiliency. Higher echelons must ensure similar mistakes are not being repeated regarding training for other resiliency-critical tasks such as operations during prolonged EMCON, self-defense while under intense electronic attack, or defensive anti-submarine warfare. A successfully resilient tactical defense, however, may not be sufficient strategically. As alluded earlier, defeating a first salvo also means defeating the attacker’s inevitable diplomatic-propaganda campaign. Attackers within range of their homeland cellular networks, or otherwise using satellite uplinks, can quickly post audiovisual content recorded and edited on smartphones or similar devices to websites such as YouTube. From there, propaganda specialists can work to push the material via social networks to critical audiences; it may not take more than a few hours to become ‘viral’ and make the jump to traditional global media outlets. The side that gets seemingly-credible evidence of what happened out first seizes the initiative, perhaps decisively, in the diplomatically and politically-critical battle for the international and domestic public narratives regarding culpability and justification. In a first salvo’s immediate aftermath, the defender must be able to quickly collect, process, and disseminate unimpeachable audiovisual evidence of its victimization without harming Operational Security. This would be no small feat, especially aboard a warship that is severely damaged or steeling itself for follow-on attacks. Even harder is developing continuously updated, interagency-coordinated, ‘stock’ narrative outlines in advance of any operation that might expose units to direct first salvo risk, not to mention the doctrine and training necessary to swiftly get an initial narrative out into the global media. Contrary to current public affairs practice, in some scenarios this might require evidence processing and public dissemination by lower echelons to be followed thereafter with amplification and context by executive Navy and national leadership. 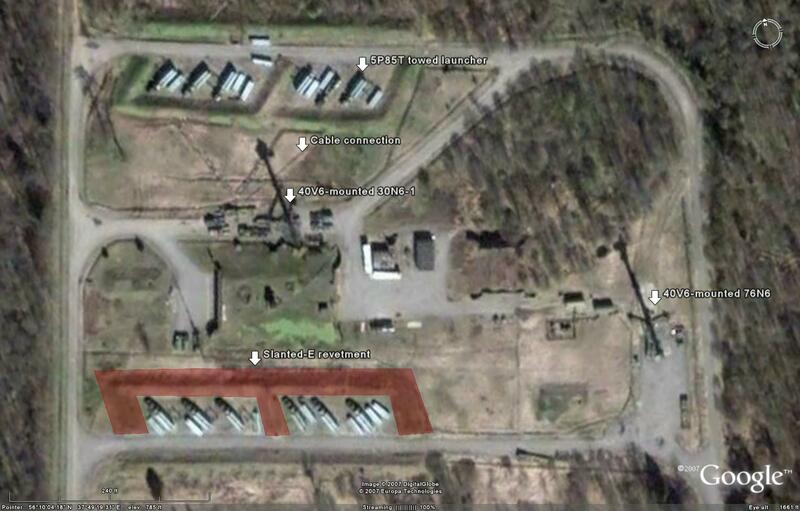 This will be a vitally important area for exploration through war gaming and fleet experiments. With its force structure in decline due to political and fiscal pressures on the Federal budget, and with vital U.S. interests and commitments in increasingly unstable East and Southwest Asia making forward naval presence reductions in those theaters grand strategically undesirable, the U.S. Navy will soon have to cope with a larger fleet proportion being exposed to ever-increasing first salvo risks at any one time. Should an especially crippling single-theater first salvo result in loss of several strategically-significant units or a sizable overall number of warships and aircraft, and even if naval reinforcements surged from other theaters and the homeland helped ensure the ensuing conflict ended in American victory, the U.S. Navy would be hard-pressed to restore its prewar global forward presence levels and crisis surge capacity until its losses were made good. This would almost certainly have grand strategy-shattering consequences. 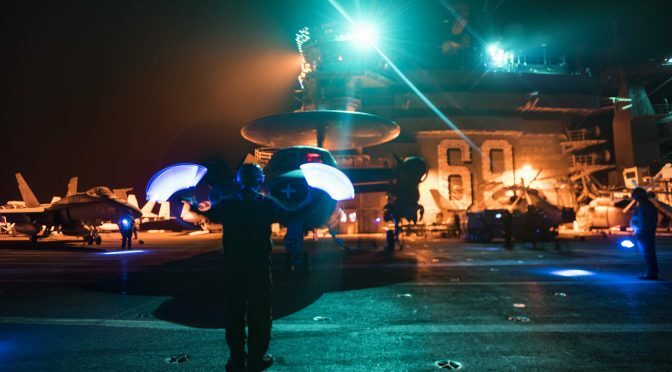 American conventional deterrence credibility in increasingly contested maritime theaters will depend in large part on whether the U.S. Navy is able to use the approaches outlined here in ways that visibly improve its first salvo resiliency within the near-term. The Navy’s greatest weapon for parrying a first salvo, after all, is convincing a potential adversary of the probable futility of attempting such an attack in the first place. For a definition of campaign-value, see Jonathan F. Solomon. “Maritime Deception and Concealment: Concepts for Defeating Wide-Area Oceanic Surveillance-Reconnaissance-Strike Networks.” Naval War College Review 66, No. 4 (Autumn 2013): 109. “Report on Technology Horizons: A Vision for Air Force Science & Technology During 2010-2030, Volume One.” (Washington D.C.: U.S. Air Force Chief Scientist, 15 May 2010), 7. Solomon, “Maritime Deception and Concealment,” 94-96, 99-103. For definitive explanation of and expansion upon this statement, see Richard K. Betts. Surprise Attack. (Washington, D.C.: The Brookings Institution, 1982), 87-141, 155-156. None of this means I&W collection and analysis efforts are pointless, but rather that strategy and operational plans must not wholly depend upon them. Solomon, “Maritime Deception and Concealment,” 96-97. Robert C. Rubel. “Talking About Sea Control.” Naval War College Review 63, No. 4 (Autumn 2010): 45. Edward S. Miller. War Plan Orange: The U.S. Strategy to Defeat Japan, 1897-1945. (Annapolis, MD: U.S. Naval Institute Press, 1991), 25, 27, 29, 354. For an example of a fleet tiered readiness approach, see RADM Robert O. Wray, USN. “The Utility of a Three-Tiered Navy.” Naval Institute Proceedings139, No. 6, (June 2013): 42-47. For a discussion of technical countermeasures and acquisition approaches that enhance a military system or network’s cyber-resilience, see Jonathan F. Solomon. “Cyberdeterrence between Nation-States: Plausible Strategy or a Pipe Dream?” Strategic Studies Quarterly 5, No. 1 (Spring 2011), Part II (online version): 20-22, accessed 10/14/14, http://www.au.af.mil/au/ssq/2011/spring/solomon.pdf. For overviews of electronic protection measures for radars, see CPT Aytug Denk, Turkish Air Force. “Detection and Jamming Low Probability of Intercept (LPI) Radars.” (Masters Thesis, U.S. Naval Postgraduate School, September 2006), 5-33; and Dave Adamy. “EW Against Modern Radars-Part 8: Side-lobe Cancellation and Blanking.” Journal of Electronic Defense 33, No. 6 (June 2010): 44-46. The operative phrase is relative reliance, as some forms of external networking will be necessary for integrating tactical capabilities and coordinating tactical actions across combat arms and services. See “Joint Operational Access Concept, Version 1.0.” (Washington, D.C.: U.S. Joint Chiefs of Staff, 17 January 2012), 36. Norman Friedman. Seapower and Space: From the Dawn of the Missile Age to Net-Centric Warfare. (Annapolis, MD: U.S. Naval Institute Press, 2000), 346. Barry D. Watts. “U.S. Combat Training, Operational Art, and Strategic Competence: Problems and Opportunities.” Washington, D.C., Center for Strategic and Budgetary Assessments, August 2008, 36. The same is true for authorizing activation of a combat system’s mode that performs fully autonomous defensive engagements. For example, consider the precision maneuvering needed for deploying and then maintaining position within chaff clouds. See ADM Sandy Woodward, RN. One Hundred Days: The Memoirs of the Falklands Battle Group Commander. (Annapolis, MD: Naval Institute Press, 1997), 12. See 1. LCDR Brian McGuirk, USN. “Rekindling the Killer Instinct.” Naval Institute Proceedings 138, No. 6 (June 2012): 41, 43-44; 2. “FY12 Annual Report: Information Assurance (IA) and Interoperability (IOP).” (Washington, D.C.: Office of the Director, Operational Test and Evaluation (DOT&E), December 2012), 307-311; 3. “FY13 Annual Report: Information Assurance (IA) and Interoperability (IOP),” 330, 332-334. The 2010 Wikileaks “Collateral Murder” campaign is an archetypical example of how this might be done by an adversary following a first salvo. For a detailed critique of the Department of Defense’s public affairs response, see Matt Armstrong. “The True Fiasco Exposed by Wikileaks.” MountainRunner.us, 10 April 2010, accessed 10/14/14, http://mountainrunner.us/2010/04/wikileaks/. Solomon, “Defending the Fleet,” 127-137.